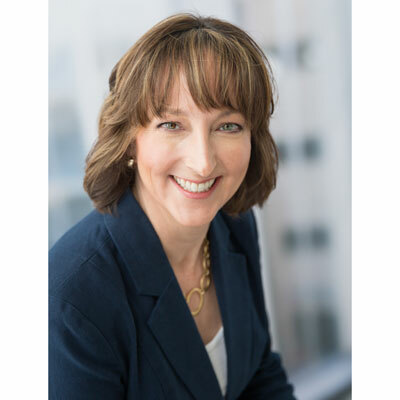 Business Growth Strategist, CMIT Solutions, Inc.
Business Growth Strategist Theresa Schwab works closely with businesses of all sizes creating strategies for growth and innovation. Theresa's current roster of clients includes many businesses in the launch phase to well-established 20+-year-old firms. They report getting more leads and growing exponentially. Theresa founded and sold her Austin-based managed services business. Since then she has been consulting with MSP's across the country on all aspects of business including strategy, operations, and people. She publishes a biweekly blog called Schwab Success Strategies focused on leadership development and strategy. Additionally, she has published articles for MSPInsights and VARInsights. Her corporate experience includes tenures at DuPont, Motorola, and Freescale Semiconductor. She and her husband have five children, two grandchildren, a Bassett Hound named Fro and kitty named Moe. In 2017, Theresa has personally coached and consulted with nine business owners launching new managed services providers. She also actively coaches another thirty-five MSP businesses beyond their first year. Theresa is responsible for training new partners in developing their technology and support teams. As a coach, Theresa travels the U.S. to assist new partners with large sales opportunities and to help turn struggling businesses around. We look to grow our partners' channel revenue by 20% and increasing our channel partners by nine percent. Additionally, we are continually improving our new partner training with the objective if rapid revenue growth. Theresa is personally redesigning the sales coaching program to improve effectiveness and to help partners grow their businesses exponentially. Late last year, I watched Carol Burnett celebrate the 50th anniversary of her show. That woman is amazingly funny, and she can sing too! I love how she succeeded in a man's world despite being told 'Honey, you'll never make it in television. You're too loud.' It's not much unlike the technology industry. Be nice to your mom and your skin. Perfect tans morph into age spots. Moms will pass from this world as mine did last year and you will miss her dearly. Called to Create by Jordan Raynor. Jordan defines entrepreneurs as those who are called to take a risk to create something new for the good of others. He tells compelling stories of Christian entrepreneurs from the founders of TOMS Shoes, Guinness, In-N-Out Burger and more. I share this book and the principles with some of my clients. Specifically, I teach my clients to bring their whole selves to the business. If you are passionate and have a personal mission whatever it may be, then share that in your sales calls.